Derrick Spain has over 25 years of experience in procuring, lightly restoring, and purveying one-of-a-kind, hand picked vintage leather furniture and decor. He began collecting and appreciating antiquities in his early teens. His love for architecture, space planning, and interior design has fueled his passion for finding unique, vintage pieces that people quickly fall in love with. 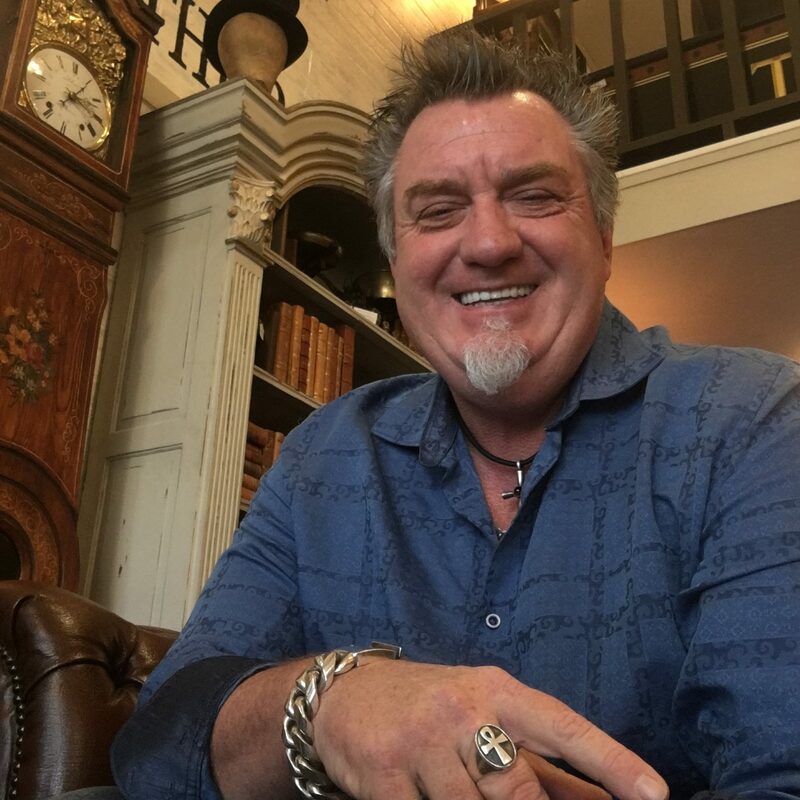 Derrick is a licensed auctioneer with many years of experience acquiring and selling high-quality antiques and vintage leather. Most of the merchandise he acquires comes from large manor homes in Europe – brimming with stories Derrick is excited to share. Henry Ford once made a wise remark to the effect that experience is the thing of supreme value in life. That is true only if one is willing to turn the past to good account. Derrick attributes his success to his past experiences, deep passion for what he is doing and a commitment to his personal faith. With his great eye for vintage pieces whilst keeping up with market trends in interior design and his long-lasting relationships with shippers of European treasures, he is a purveyor of unique pieces of history. Come check out our shop and see how Derrick’s background and personality combine for an experience like no other – at Reclaimed Leather!